Like the name suggests, this method of brewing doesn’t involve any form of heat to make the coffee. Originated in Japan in the 1960s, this slightly unconventional method started gaining traction in recent years. Our barista Art says that this is her favourite brewing methods as you’re able to retain the flavour intensity of the coffee as it doesn’t get tampered by heat. It’s also super refreshing and you can keep it in the fridge to drink for at least 1-2 weeks. 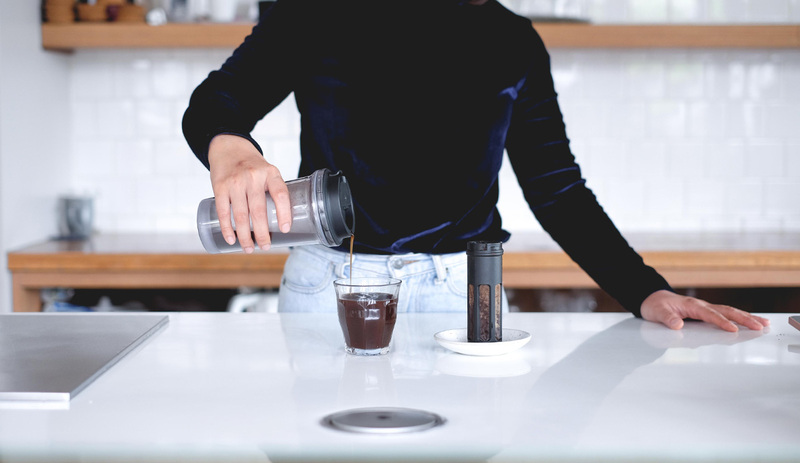 Sure, it might take longer to make than a regular iced coffee, but its ability to retain flavors and aroma, and its adaptable nature means that you can also infuse it with different ingredients to create a completely new drink. 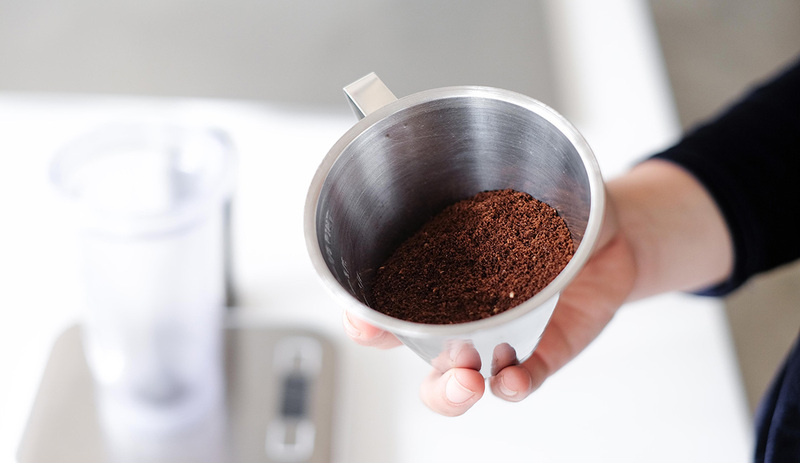 Grind 2 spoons of coffee beans to a coarseness resembling table sugar. 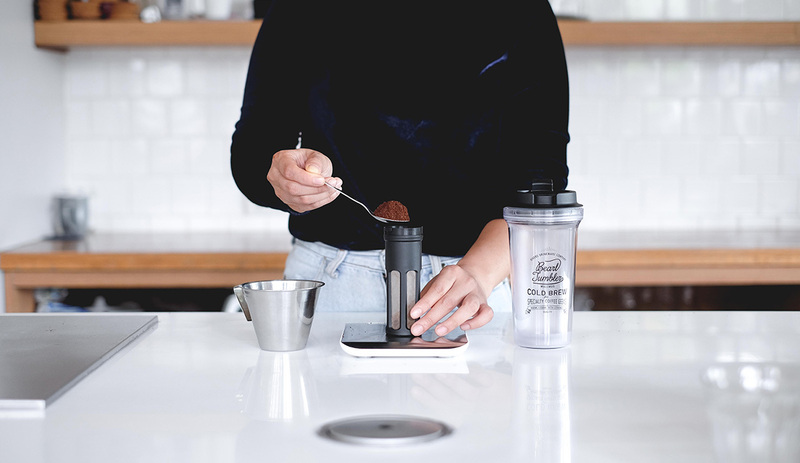 Pour the ground coffee until it reaches the edge of the strainer. 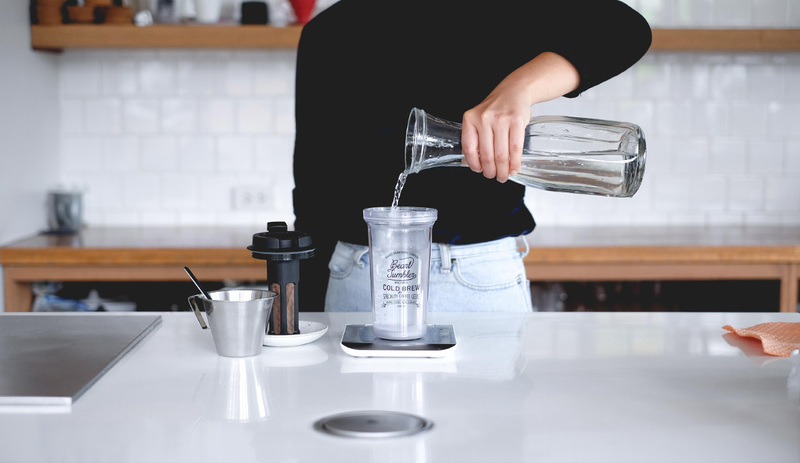 Pour the water into the cold brew tumbler until it reaches the logo. 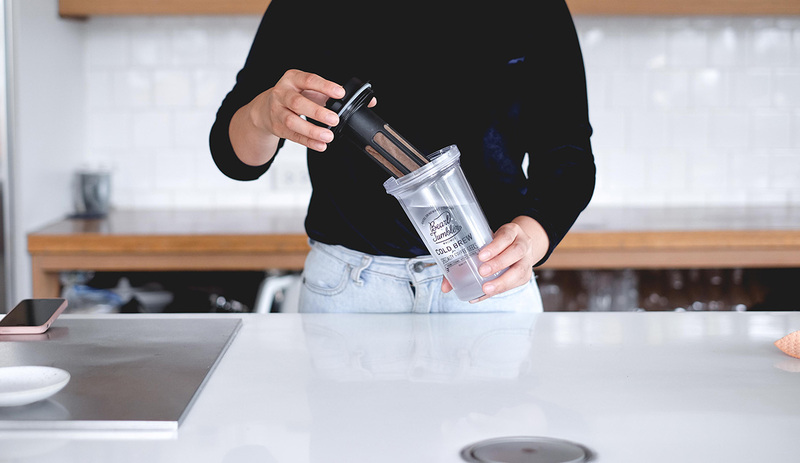 Close the lid and leave the tumbler in the fridge for 8 hours. Remove the strainer, serve with ice and enjoy! Try mixing your cold brew with flavoured-milk or different fruit syrups. If the coffee is too watery, add a bit more coffee or use less water.